Perhaps one of the cruellest aspects of the Syrian regime’s war on the Syrian population is its success in normalising death and desensitising the world to its harrowing massacres. Missing from the six-digit death toll are the charred faces and untold stories of the martyrs, and of the suffering inflicted upon the loved ones they leave behind. As one Syrian activist put it: «One thing I will never forgive Bashar al-Assad for is denying us the chance to grieve over our martyred friends». Indeed, with mass-murder turning into a horrifyingly frequent occurrence two-and-a-half years on, mourning the fallen has become a luxury most Syrians are deprived of. The dehumanisation of Syrians was painfully illustrated by the debate that ensued after the chemical weapons attack on 21 August in the Damascus countryside. The victims were treated as mere footnotes by the international community, the mainstream media, and the anti-war camp. For western governments who draw a «red line» with chemical weapons-use – and Israel’s interests – the red blood of Syrian children slaughtered with conventional weapons by the regime and its militias is not sufficiently outrageous. The whole discourse, as Syrian writer and former political prisoner Yassin al-Haj Saleh puts it, is about chemical weapons, not about the criminal who used chemical weapons, the people murdered by them, or the greater number of people murdered with guns. Meanwhile, for most anti-war coalitions: «war is peace and ignorance is strength». They parade as facts hackneyed and false dichotomies to argue that all the rebels are terrorists and Assad is now not only ostensibly fighting imperialism, but terrorism as well. That Assad has been waging a sectarian, all-out war on Syrian civilians for the past thirty months matters little. That his regime has systematically arrested peaceful and secular activists while releasing Al Qaeda-affiliated terrorists matters less. And that thousands of imprisoned Syrian, including workers, children, unarmed demonstrators, and community organisers, have been tortured to death by regime forces since the start of the uprising matters none at all. So it follows that these «anti-war» campaigners will ignore one of the regime’s latest torture victims: Khaled Bakrawi, a 27-year-old Palestinian-Syrian community organiser and founding member of the Jafra Foundation for Relief and Youth Development. Khaled was arrested by regime security forces in January 2013 for his leading role in organising and carrying out humanitarian and aid work in Yarmouk Refugee Camp. On 11 September, the Yarmouk coordination committee and Jafra Foundation reported that Khaled was killed under torture in one of the several infamous intelligence branches in Damascus. Many who regarded Khaled Bakrawi as a hero following his injury by the Israeli occupation uttered not one word of condolence after his death under torture in the regime’s dungeons. Neither the Palestinian Liberation Organisation nor any other Palestinian political faction has condemned the killing of one of Yarmouk’s most prominent, likeable, and hard-working activists. Neither have they protested the killing of three other Palestinian prisoners under torture within five days. It seems that for them, a Palestinian is only worthy of the title «martyr» if s/he is killed by the Zionist occupation. Having the misfortune of being slain by the «anti-imperialist and «pro-resistance» Assad regime renders the killing acceptable, and the killed undeserving of sympathy. «There is a minority of intellectual pacifist whose real thought unadmitted motive appears to be hatred of western democracy and admiration of totalitarianism. Pacifist propaganda usually boils down to saying that one side is as bad as the other, but if one looks closely at the writings of younger intellectual pacifists, one finds that they do not by any means express impartial disapproval but are directed almost entirely against Britain and the United States. Moreover they do not, as a rule, condemn violence as such, but only violence used in defence of western countries». In the Syrian case, such pacifists endeavour to veil their position with truisms about peace and neutrality, yet focus their energies on opposing a potential US war on Syria on the one hand, while condoning the actual war launched by the Syrian regime on the other. Even though the self-proclaimed «anti-imperialist» pacifists maintain that they are anti-intervention on principle, they only object to Western intervention in Syria while saying nothing about Iran and Russia’s far more flagrant and aggressive intervention. While it is understandable that opposing their own government’s abuses should be priority, this does not justify supporting a genocidal regime, downplaying its crimes, and turning their backs to the heroic struggle of the Syrian people. For it is such struggles against totalitarianism, as any «leftist» worthy of the name would not need be reminded, that exist as nascent fronts in the larger fight for a global humanity living and dying under the boot and the indignity of them all. So, what do you want these ‘pacifists’ to do, exactly? Khaled was arrested by Syrian regime security forces in January 2013 for his leading role in organising and carrying out humanitarian and aid work in Yarmouk Refugee Camp. 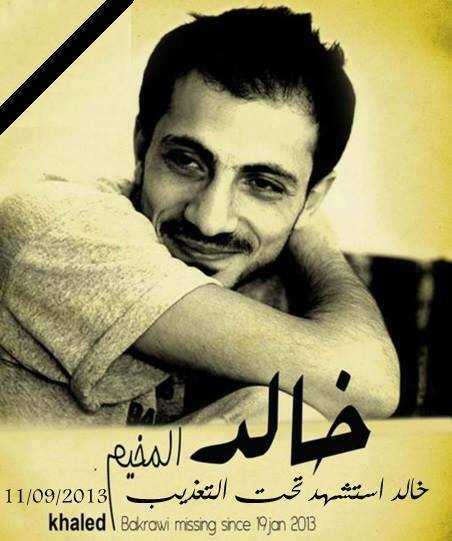 On 11 September, the Yarmouk coordination committee and Jafra Foundation reported that Khaled was killed under torture in one of the several infamous intelligence branches in Damascus.